Nicaragua’s current Sandinista government has been the most successful ever in reducing poverty and defending the right of all Nicaraguans to a dignified life. That claim is extremely dishonest. 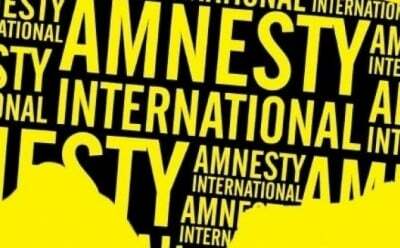 Many of Amnesty International’s board and most of the senior staff in its secretariat, which produces the organization’s reports, are individuals with a deeply ideologically committed background in corporate dominated NGOs like Purpose, Open Society Institute, Human Rights Watch, and many others. Mexico has over 36,000 people disappeared and abuses by the security forces are constant. Colombia has over four million internally displaced people with over 53 community activists murdered just in 2017. Amnesty International generally puts that horrific reality in context by including criticism of forces challenging those countries’ authorities. By contrast, its reporting on Venezuela and Nicaragua, like those of other similar Western NGOs, reproduces the false claims of those countries’ minority political opposition forces, all supported one way or another by NATO country governments. In Venezuela and Nicaragua, Western human rights organizations exaggerate alleged government violations while minimizing abuses and provocations by the opposition. This screenshot of Amnesty International’s three main news items on Venezuela from Aug. 9 gives a fair idea of the organization’s heavily politicized, bad faith coverage of recent events. This is identical false coverage to that of Western mainstream corporate media and most Western alternative media outlets too. Amnesty International’s coverage minimizes opposition murders of ordinary Venezuelans, setting many people on fire, violent attacks on hospitals, universities and even preschools and innumerable acts of intimidation of the general population. That headline “Venezuela: Lethal violence, a state policy to strangle dissent” is a pernicious lie. President Nicolas Maduro explicitly banned the use of lethal force against opposition demonstrations from the start of the latest phase of the opposition’s long drawn out attempted coup back in early April this year. Likewise, against Nicaragua, Amnesty’s latest report, kicking off their global campaign to stop Nicaragua’s proposed Interoceanic Canal, also begins with a demonstrable lie: “Nicaragua has pushed ahead with the approval and design of a mega-project that puts the human rights of hundreds of thousands of people at risk, without consultation and in a process shrouded in silence”. That claim is completely false. Even prior to September 2015, the international consultants’ impact study found that the government and the HKND company in charge of building the canal had organized consultations with, among others, over 4,000 people from rural communities in addition to 475 people from Indigenous communities along the route of the canal and its subsidiary projects. There has been very extensive media discussion and coverage of the project ever since it was announced. That extremely prestigious ERM consultants’ Environmental and Social Impact study, which together with associated studies cost well over US$100 million, is publicly available in Spanish and in English. Two years ago, it anticipated all the criticisms made by Amnesty International and was accepted by the Nicaraguan government, leading to a long period of analysis and revision that is still under way. Amnesty International excludes that information. Recently, government spokesperson Telemaco Talavera said the continuing process involves a total of 26 further studies. Until the studies are complete, the government is clearly right to avoid commenting on the proposed canal, because the new studies may radically change the overall project. But Amnesty International’s report omits that contradictory detail, demonstrating how irrationally committed they are to the false propaganda of Nicaragua’s political opposition. Amnesty International claim their research team interviewed “at least 190 people” concerned about the effects of the canal. By contrast, the Nicaraguan government and the HKND company have discussed the project with around 6,000 people in the areas along the route of the canal. In that regard, even the local church hierarchy has criticized the way the Nicaraguan opposition have manipulated rural families on the issue of the Canal. But that fact too, Amnesty International omits. Their whole report is tailor made to supplement the political opposition’s campaign for U.S. intervention via the notorious NICA Act. But the Amnesty International report systematically excludes that and any other sources giving the government’s point of view, claiming it was unable to access primary sources either from the government itself or from among the canal’s numerous advocates. However, secondary sources abound that categorically contradict Amnesty’s advocacy against the canal. The report specifically and extensively attacks the Law 840, facilitating the construction of the canal and its sub-projects, but cynically omits a fundamental, crucial detail, while also failing completely to give relevant social and economic context. The crucial detail is that Law 840’s Article 18 specifically states the canal project “cannot require any Government Entity to take any action that violates the political Constitution of the Republic of Nicaragua or the terms of any international treaty of which the State of the Republic of Nicaragua is a party.” Amnesty International completely omits that absolutely crucial part of Law 840 from their report because it makes redundant their advocacy of opposition claims attacking the equity and legality of the Canal’s legal framework. The same is true of the relevant political, social and economic context. Nicaragua’s political culture is based on dialogue, consensus and respect for international law. All the main business organizations in Nicaragua and all the main international financial and humanitarian institutions acknowledge that. President Daniel Ortega and Vice President Rosario Murillo enjoy levels of approval of over 70 percent. There is good reason for that massive majority approval. Among many other factors, the precedents of how the Nicaraguan authorities have resolved the relocation of populations affected by large projects, for example, the Tumarin hydroelectric project, completely contradict the scaremongering of the Nicaraguan opposition propaganda, so glibly recycled by Amnesty International. Nicaragua’s current Sandinista government has been the most successful ever in reducing poverty and defending the right of all Nicaraguans to a dignified life. To do so, among many other initiatives, it has mobilized record levels of direct foreign investment. In that context, Law 840 explicitly protects the huge potential investments in the proposed canal, while at the same time implicitly guaranteeing constitutional protections. Similarly, ever since the announcement of the canal, Ortega has repeatedly, publicly reassured people in Nicaragua that any families who may eventually be relocated should the canal go ahead will get every necessary help and assistance from the government. Just as it has done in the case of Venezuela, on Nicaragua, Amnesty International misrepresents the facts, cynically promoting the positions of the country’s right wing political opposition. In Latin America, under cover of phony concern for peoples’ basic rights, in practice Amnesty International, like almost all the big multi-millionaire Western NGOs, gives spurious humanitarian cover to the political agenda of the US and allied country corporate elites and their governments. The destructive, catastrophic effects of Amnesty International’s recent role in the crises affecting Syria, Ukraine and now Venezuela, are living proof of that.